Saturday 22nd September. The sun was shining, the birds were singing and there was the sound of money constantly hitting the bottom of a donation box. 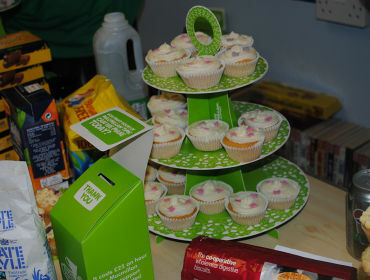 Inspire, a project to voice peoples’ beliefs and opinions, held a Coffee Morning in E-Teens – the teenage section of Treorchy Library – as part of the Worlds’ Biggest Coffee Morning in aid of Macmillan Cancer Support. The room was filled with helpful volunteers, talented performers and happy customers as they all came together in harmony to help make time for Macmillan. The coffee morning was full of variety – from nail art and Wii games to live entertainment and a fantastic raffle. Customers enjoyed their refreshments whilst listening to the likes of Evan Gardner, Twelve Strings, Demi Powell, Andrew Davey, Dai Williams, Emily Griffith and Gareth Chidzey who filled the room with highly entertaining music to brighten everyone’s spirits. The feedback was full of nothing but positive comments. 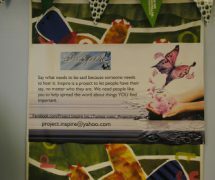 “I love helping out in any way I can. It was a pleasure to be a part of it!” – Evan Gardner, performer. “Had a lovely time [at the event]! 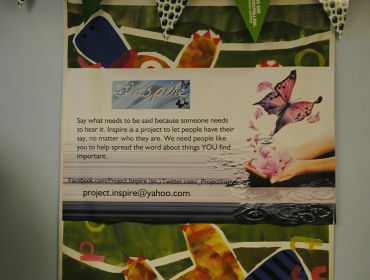 It feels amazing knowing that you’ve helped make a difference to the people who need it most!” -Shona Evans, volunteer. “It was a fantastic day, great to be part of a well organised event which raised money for an important cause” – Twelve Strings, performers. 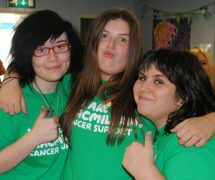 “It was an inspiring day – no pun intended!” – Emily Wilton, volunteer. 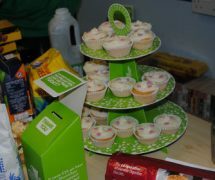 The event was a huge success and an estimated £200 was made, with the final total yet to be counted. Though, the biggest success of the day was getting the message across to people that Macmillan is so much more than what they had realised. A lot of people think Macmillan is just something elderly people use if they have cancer, but it is so much more than that. Macmillan is a cancer support organisation which helps and supports cancer patients and anyone affected by cancer such as families and friends. Cancer isn’t just found in elderly people; it can affect anyone at anytime. It even affects animals. Macmillan have so much more support going on within the organisation. One in three of us will get cancer and it’s the toughest thing most of us will ever face. If you’ve been diagnosed with cancer, or a loved one has, you’ll want a team of people in your corner supporting you every step of the way. 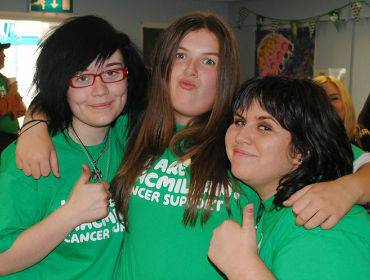 Macmillan are a medical and financial support and push for better cancer care. As much as the research is important, we have yet to find a cure and so the support for those affected is utterly vital.